Knowing which SEO metrics work, why they work and when to employ them, is what differentiates authority sites that enjoy top 3 results in search engines vs. sites that simply can’t pull rank. Trust – Is the Domain Trusted, Sandboxed or Ignored? Based on the continuity between these metrics determine the buoyancy and impact they have on search engines. With over 200 metrics search engines utilize to assess the relevance and ranking potential for any given query, if you can identify the primary metrics and cater to them with optimization best practices, you can develop a natural affinity with their algorithm and pull rank on queue (despite your competition). 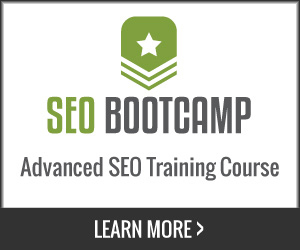 This is one of the most powerful SEO metrics to search engines. Although fleeting and aloof as far as determining the exact correlation of ingredients, once you have it, your website is treated with VIP status. Trust is the crowning achievement for SEO as this variable can give back and bring stability to any other metric to augment them “to grease the wheels” if SERPs get stuck. Search engine trust or trust rank is real and the best way to bequeath it is through (a) touching on the proper semantic nodes identified by search engines as significant and (b) staying on topic by theming your content until search engines have identified your domain as a source of entertainment, knowledge or wisdom (based on the feedback mechanisms search engines gather from other metrics). While trust can create rankings or cement them if the content is relevant, the content and link freshness factor plays a major role in acquiring new SERP positions or maintaining languishing ones. There is a reason when you search that you are not looking at 1995 data (for the most part). That is due to the cyclical nature of the SERPs (search engine result pages and their dynamism). Rankings are both by the page and also predicated on the volume of content available to select from as a base. This makes the selection process volatile and dynamic for algorithms and this dynamism is tied to relevance signals that monitor the index for fresh content. Then something unique occurs… You (your website and pages) start to skip in line due to the authority your site acquires and passes along to your pages. Things like getting picked up in a blog search feed as the 24 hour static link, double rankings (due to your site passing the tipping point criteria of relevance) and going from not in the top 1000 results to the top 20 in 24 hours for a keyword. It presents a much different approach than traditional optimization where you chip away for months to see results. On the contrary, if you determine where your site is already strong and already has authority, then you can shift the focus to acquiring keyword asynchronously or simultaneously using a laterally approach and targeted related keyword clusters (instead of just one keyword). Reputation is everything, and pages that are neglected from the very site that spawned them are not high ticket items to search engines. To avoid falling into this category, invest in the richness of your own website by harnessing the ability to link selectively using the anchor text of choice to appropriate pages. Although this is SEO 101 and the granular shifts that occur from internal linking (a) allows visitors to find your content through means aside from your navigation (to improve the user experience) and (b) it helps spiders find, grade and qualify each page in your site. The benefit of the collective continuity produced is staggering when combined with other signals of relevance (such as freshness and trust). Use every opportunity to link (at least one occurrence) of a keyword rich occurrence to the appropriate landing page (from other pages) to reinforce your pages hierarchy for specific keywords. Deep links are links to pages other than your homepage from other websites. They constitute method of exchange that can pass along incremental changes in rankings for specific keywords and corresponding landing pages. For example, the fastest way to acquire a top 10 ranking is to get linked to from a site and / or page ranking in the top 10 for a query. The trust transferred to your page is like a type of ranking credit that vouches for your content and since they page ranking in the top 10 already has all of the appropriate metrics to maintain its position, it passes along trust to your page. Ideally, the more themed the link is (coming from a source in a related niche, industry or semantically related context), the more trust can flow through that citation to elevate your pages. 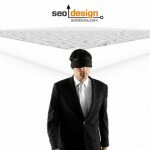 This is why acquiring quality editorial links (meaning they occur in context to the topic) such as the title, h1, site category or have been imbued with authority that spills over into all categories (like CNN.com) which is a wildcard, yet authoritative funnel the most ranking factor to your website. While it may not be possible to attract the editor’s attention of CNN or a website of that magnitude, you can acquire a number of links just from using RSS feeds, social media, press releases or positioning your content through guest posts. Either way, fewer links with more authority are always preferred rather than hundreds or thousands of links from pages that (a) have to many outbound links (b) are off topic (c) lack PageRank meaning their position / crawl rate and authority on the totem pole is not as significant (d) are not linked properly in the sites they belong (which means they are starving for link flow) and (e) do not in fact rank for any of the keywords with confidence – means they pass along marginal metrics at best. Two ways to think of link building and acquiring links (1) focus on quality content and let your peer group decide your worth (by linking to you) or (2) finding places to build links to your site, so others can find you, spread the word or the power of their domain trust can prop yours up until your own page strength and trust kick in. 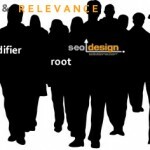 Theme relevance is predicated on the selection of content you elect to produce on your website. Sites based on a topic are easier for search engines to identify, sort and sift and when properly structured with unique titles, SEO friendly URL’s, descriptive H1 tags, linked to from other keyword occurrences from other pages, link to other related pages and also have deep links from other sites (that reinforce their topic) this alone can create trust. Trust and theme relevance put your pages in their own orbit just by launching them with the publish button; this is the basis of page and domain strength. Think of the degree of buoyancy they have as a direct correlation to the degree of trust and authority your website acquires for the keyword / topics in question. 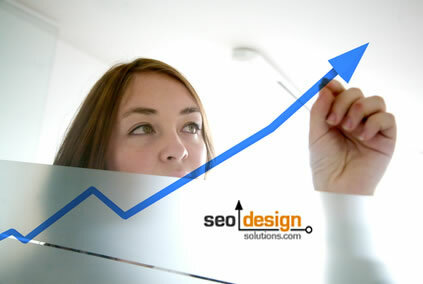 The only thing stopping you’re pages from hitting the top 10 using this formula is (1) the SEO ceiling your website has for that keyword – which gets stronger with each new page on the topic (2) time and (3) your competitors relevance score with the pages occupying the spot above you. 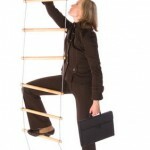 You will also need a way to calculate the barrier to entry for relevance thresholds. You can use competing pages, domain strength of the top 5 aggregate sites that rank for that cluster of keywords or assess the off page links the domain or page has acquired. Without a solid semantic theme to begin with, your site is only a paper champion until someone with a more robust profile elects to target those keywords. 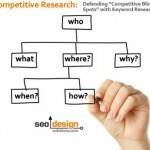 My suggestion to you is to stay busy and never underestimate your competition’s hunger for the top 10 search results. Invoke the post frequency metric by introducing frequent content sprinkled with an array of keywords relevant to the theme (not just the ones you want to rank for). Keep in mind that 60% of searches are unique, meaning that there are 100 ways to find the same page. 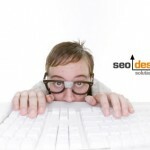 Most queries are mid-tail or long-tail by nature, so they represent a vast opportunity to rally traffic in your favor. For more on this topic, here is a link to a post on theme relevance. For the sake of continuity this post is a wrap, but the idea that inspired it remains intact. To summarize, content quality transcends volume, use post frequency in tandem with topical agility within a theme (keyword cluster) to reinforce authority and leverage that authority through deep links and internal links to claim your spot in the SERPs. 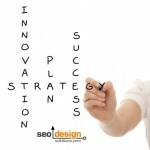 These are only 5 metrics, remember there are over 200, but if you understand their correlations you will be able to dissect your competition (through assessing which metrics they rely on) and surpass them by countering them with your own combination of search engine proven synonyms and other dynamically layered SEO metrics.